The Northfield Automation Systems team has several decades of combined experience in the roll-to-roll engineering and process equipment manufacturing fields. Our staff has the material knowledge, equipment design and manufacturing expertise to help you take your operation to the next level. 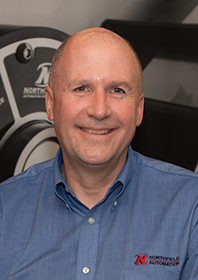 Mark Wegner, President and Co-Founder, brings more than 26 years of roll-to-roll engineering and process equipment manufacturing to Northfield Automation Systems. 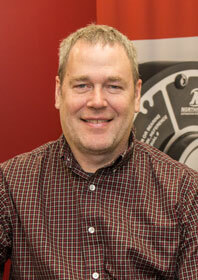 Prior to founding Northfield Automation Systems, Mark served as Process Engineering Manager as well as R&D Engineer for Sheldahl. 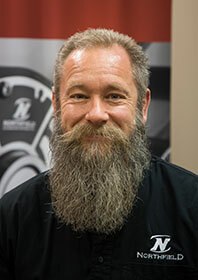 His extensive background includes broad expertise in roll-to-roll flexible printed circuits, films, foils of all types, sensitive product configurations and highly focused, custom application design. He holds a B.S. in both physics and mathematics from the University of Minnesota.